You are here: Home » Blog » Leadership » What if we focussed on what people are naturally good at? 1 What if we focussed on what people are naturally good at? 3 What results can you get with Strengths Coaching? 4 How do you know if Strengths Coaching is right for you or your organisation? This is a question that many educators would purport to have as a guiding principle in how they, and their organisation, works. Yet so much about how we ‘do’ education seems to me to be premised on a negative approach. We continually seem to focus on identifying, patching, fixing or even overcoming what learners are not good at. This post explores the idea of ‘what if we focussed on what people are naturally good at?’ as a way to introduce to you strengths-based leadership. The reality of how many schools operate is that educators are experts at conducting a sort of gap analysis into what learners can’t do, then making plans somehow to rectify this by designing interventions. It is this ‘fixity mindset’ that I believe needs to change in schools as well as throughout society at large. I don’t blame educators or schools, because the system we work in is also premised on this ‘fixity mindset’ and reporting of narrow measures of success. We tend to focus more on the outputs than the inputs across our education system. One only need recall the recent National Standards regime for reporting student achievement imposed on education in NZ from 2009 until early 2018 at which time it was dropped like a hot potato by the new government. When governments meddle in the work of educators the results seldom meet our expectations. 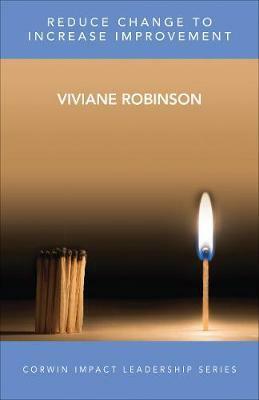 As the highly respected Viviane Robinson says in her latest book, we need to ‘Reduce Change to Increase Improvement’. I’m not saying we should ignore learners’ areas of need or weakness; I am saying if we focus on what people are naturally good at, and use this to help them address areas that are important to them, then learners would more likely reach goals and aspire towards excellence. This is the underlying philosophy of the Strengths movement, which is my latest discovery. Since founding Learning Architects a couple of years ago, I’ve been searching for a framework or a tool to use to strengthen the leadership work we do with organisations, schools and Kahui Ako. I looked at a number of different tools, some of which I’ve used in my career as a school leader. Not only did I seek a highly valid and reliable tool, but one which also had been proven across the world. In addition, I wanted a tool and framework that would be applicable across different industries while at the same time resonating with educators and the ethos of holistic education, which is to grow the individual. Click to share: What if we focussed on what people are naturally good at? I settled on a system called the CliftonStrengths Finder which is owned by a company called Gallup. Gallup is a worldwide organisation best known for large-scale research and polls on a variety of issues for governments, NGOs and corporates. For example, the World Health Report by the World Health Organisation was conducted by Gallup on behalf of the WHO, a UN organisation. Gallup also undertakes large-scale research and provides analytics in areas such as: economic confidence, employment, confidence in leadership, entrepreneurial energy, religion, food access, and many other areas. The CliftonStrengths Finder is an online assessment that reveals our top ‘talents’. Gallup has revealed 34 areas of talent that all human beings possess in varying degrees of intensity. The power in this tool lies in its ability to strongly predict how people might behave and process information and, of equal importance, what might energise a person. When used in conjunction with ongoing coaching and input, the CliftonStrengths Finder takes ‘knowing your team’ to a whole new depth. Once I settled on the framework and system, I attended a week-long training course at Gallup headquarters in Sydney in order to become a Gallup-certified Strengths Coach. Becoming a Strengths Coach is undoubtedly one of the best learning experiences I’ve had in my professional career. It has deepened my knowledge and understanding of myself and how I work with clients, my family and loved ones, as well as giving me tools and strategies to continue to challenge and grow those with whom we work. Had I undertaken this training when I was a school principal, I’m certain it would have enabled me to be a better leader! What results can you get with Strengths Coaching? At the point of writing this post, I have used Strengths Coaching with over 45 leaders across NZ. This framework has been immediately useful to those leaders in an appraisal context. It has also been extremely effective within centrally-funded professional learning and development we offer because it directly targets the area of lifting leadership capability. Strengths Coaching gives leaders insights into how they behave, process information and also what energises (or de-energises) them. It becomes a powerful tool to deepen insight into the leaders’ self-awareness. This in turn helps the leader to better understand, place and grow his or her team members. Because Strengths Coaching can work for individual leaders, and their teams, it provides a powerful strategic tool for leaders to develop themselves and the performance of their organisation. A pair of leaders who were working at cross purposes within the same team who now understand what makes the other ‘tick’ and how to utilise one another’s talents more effectively… they understand and support one another better. A principal who understands how his level of focus can be strengthened through accessing his teams strategic and creative talents… the team is more powerful than before. A principal who now understands the importance of her language, and how the Deputy Principal now understands that when the principal says something that it doesn’t necessarily need to be implemented right away… they are asking better questions of one another. A leadership team who are becoming more inclusive of everyone’s inputs and talents… they have a deeper, richer dialogue. A principal who is using her talents to improve how she engages her leadership team and how they build a strategy together… this is a new area for this leader and the team is involved and committed to the goals. How do you know if Strengths Coaching is right for you or your organisation? Commitment to coaching – if you are not able to commit to ongoing coaching, then Strengths Coaching may not be for you. We suggest a minimum of three 1 hour sessions to see if this is truly useful for you. This would just be focused on coaching using your ‘top 5’ strengths. Take a long-term view – for using this with a leadership team, it is ideal if coaching sessions are structured over six months to one year initially. Focus on self-awareness first – we usually start with individual coaching first, but you can also undertake the individual sessions as group sessions, as long as the group has a high degree of relational trust. Once a level of self awareness is reached, then the coachee can start combining this prior knowledge to increase the effectiveness of the team. For example, how we might disagree and deal with conflict using our talents. Structure the input so it is built into existing structures – this might mean you build some kind of strengths exercise into your leadership meeting agendas on a weekly basis. Doing this means that you can continue the learning and insights can be deepened even without your coach. There are all sorts of ways that this might take shape, speak to us to explore possibilities. If you would like to learn more about how using the CliftonStrengths Finder for strengths-based leadership development for yourself, your team or your organisation, I’d love to chat – please get in touch.